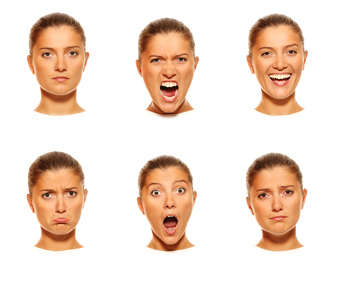 November 13, 2014—People on the autistic spectrum may struggle to recognise social cues, unfamiliar people or even someone's gender because of an inability to interpret changing facial expressions, new research has found. According to the study by academics at Brunel University London, adults with autism spectrum disorders (ASD), though able to recognise static faces, struggle with tasks that require them to discriminate between sequences of facial motion or to use facial motion as a cue to identity. The research supports previous evidence to suggest that impairments in perceiving biological motion more generally may underlie difficulties in social interaction. This is in contrast to suggestions that poor attention skills are at the root of the problem. Dr Justin O'Brien, from the Centre for Research in Infant Behaviour in the Department of Psychology at Brunel University London, and one of the authors of the study, said: "Existing studies have suggested that biological motion deficits are accountable for impairment in social cognition, but there has been little investigation of facial motion when discussing adults with ASD. "Our data indicates that people with ASD are unable to pick up on changing visual information that informs their judgment of someone's identity or emotional state, and that this could contribute to difficulties in social interaction." The study involved 14 participants, each high-functioning individuals with ASD, who were asked to watch motion captured from actors and applied to a three-dimensional face. The moving images were then used to investigate whether the participants could perceive and discriminate facial motion. It is hoped the research will help build up a better idea of how and why adults with ASD have social and communication issues, paving the way for better understanding and treatment. 'Impaired perception of facial motion in autism spectrum disorder' by Justin O'Brien, Janine Spencer, Christine Girges, Alan Johnston and Harold Hill. Plos One, July 23, 2014, DOI: 10.1371/journal.pone.0102173. Press materials provided by Brunel University.